JACQUELINE WONG doesn't live in poverty according to standard guidelines - her income puts her household at about twice the poverty level - but she is struggling to make ends meet. She was laid off twice by the School District of Philadelphia. Fortunately, she has an adjunct position teaching math for Community College of Philadelphia, where she makes $15,000 a year. But it is only part time. She also works a few hours each month as a community consultant with Philadelphia Chinatown Development Corp., for which she receives $5,000 a year. 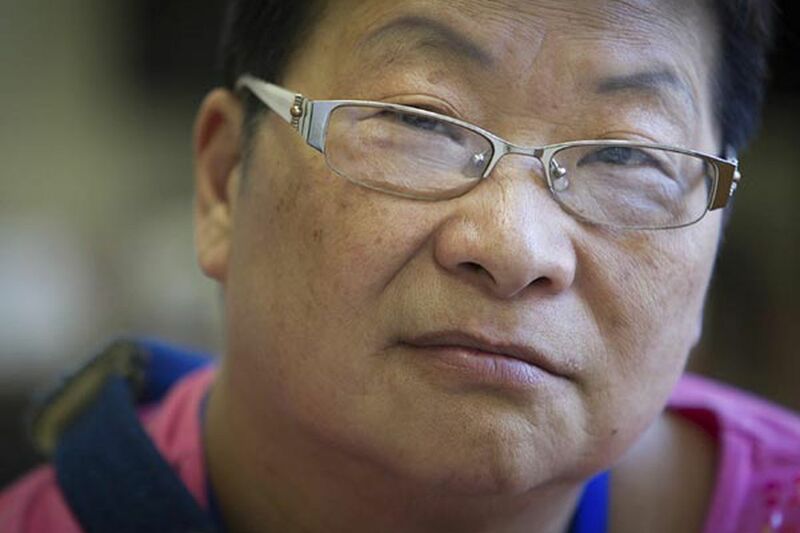 Wong, 62, only recently learned she was eligible for Social Security survivors' benefits since she is a widow. If she didn't receive the $1,200 a month for that, she said she would be living in poverty. Wong came to this country from Hong Kong about 40 years ago to study at Temple University, where she earned a bachelor's degree in management. She also received a master's degree from Temple in 1980. Later, in 2007, she obtained a master of education in what's now called educational leadership from Cheyney University. And she has her state certification to be a principal. For the past 19 years, Wong, now a U.S. citizen, has been a single mother. Her husband died when their daughter was 13 years old. Her daughter, who works part time at a nonprofit, lives with her in West Philly. "For Asian Americans to talk about their struggles is hard," Wong says. "It's kind of pride for us" to not talk about it. She says her struggles are "more emotional." "I'm the kind of person that worries a lot," she says. "And I may cover [that] up very good. A lot of people don't know that . "I can't sleep. I mean, a little thing will wake me up and then I won't go back to sleep all night." Wong's expenses include her mortgage, utilities, a home-improvement loan and student loans, which total about $2,800 a month. That doesn't include food. She watches what she buys. She'll eat more chicken, less beef. "We still always have rice," she says. "Even though rice and egg, we can survive. As long as you can cook rice, you can get something." It doesn't help that she got mugged in March. A young man, maybe in his 20s, grabbed her pocketbook and pushed her to the ground. She lost $100. She fractured her shoulder and tore her biceps. Now, she has to go to physical therapy. She has insurance through her part-time job at CCP, but it will only cover the physical therapy until the end of this month, she says. She has been applying for a full-time job ever since she got laid off last spring from the school district, where she worked for six months as a prevention and intervention coordinator. The first time she got laid off was in 2011, after she worked for six years as a school climate manager. She hasn't heard back from any place where she applied. She thinks it might be because of her age or that she's overqualified. "I really want to work," she says. "I still have a lot of fire, you know. That's what I'm saying, I get bored. I'm very bored at home. That's why I do volunteer work. I do a lot of volunteer work. You ask me to retire, I don't think I can do it." She's hoping her economic struggles are temporary. "I believe in the Chinese proverb," she says, "is that when the God wants you to have something important to do, they will make you suffer before that."